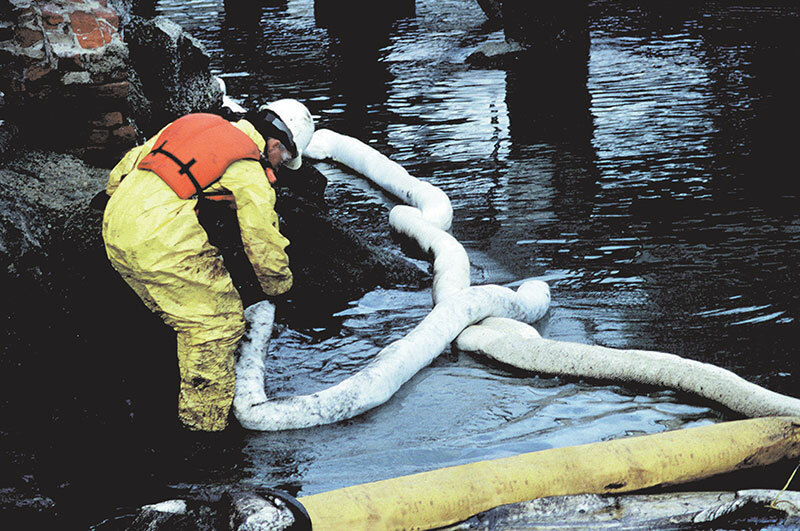 Spill Containment Products from Indian Valley Industries, Inc.
Every facility manager, construction manager, and state/local administrator has a priority concern to prevent, prepare for, and respond to a variety of hazardous material spills at their locations. Whether it's protecting a location from equipment leaks/spills, responding to oil spills in local waters, or leaks/spills at a construction job-site, Indian Valley Industries manufactures and distributes a range of products to address these risks. Having efficient spill cleanup and containment products is essential for the maintenance and safety of any facility. 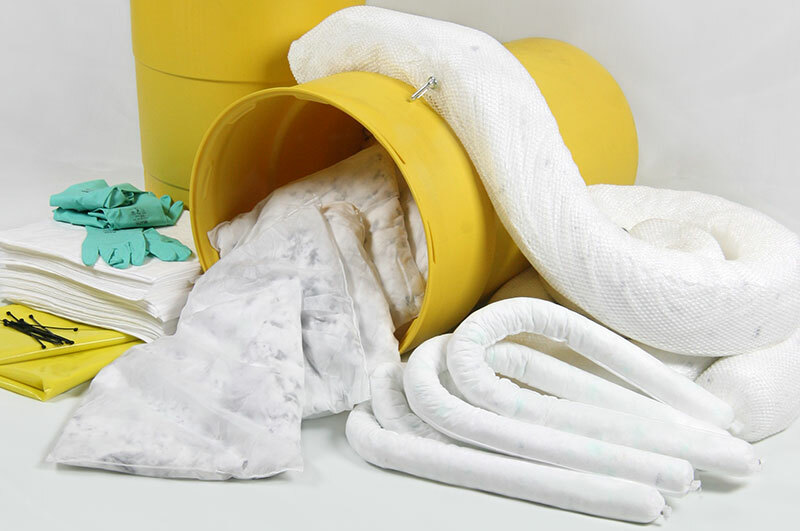 That is why our wide selection of spill kits and sorbents consider all possible needs - oil-only, universal, and hazmat products; mobile, small and drum spill kits; pools/berms. Over the last several decades, Indian Valley Industries has manufactured and shipped products used across the globe in some of the most extreme spill emergencies. We supply many stock/standard products as well as manufacturing products, such as oil boom, on a custom-specified basis. We regularly ship our sorbents and spill kits co-mingled along with the rest of our erosion and sediment control product orders. Our Containment Pools are increasingly popular and provide easy control of harmful materials. Commonly used on job-sites under mechanized equipment, we fabricate our containment pools to many standard sizes and regularly manufacture custom sizes and shapes. Conveniently pre-packaged with a variety of sorbent products and disposal containers. Each kit's contents vary depending on size. 5, 17, 25 and 55 gallon kits are available. We carry a variety of products for oil-only, standard, and hazmat use. Each product is available is a variety of sizes and packaging options. 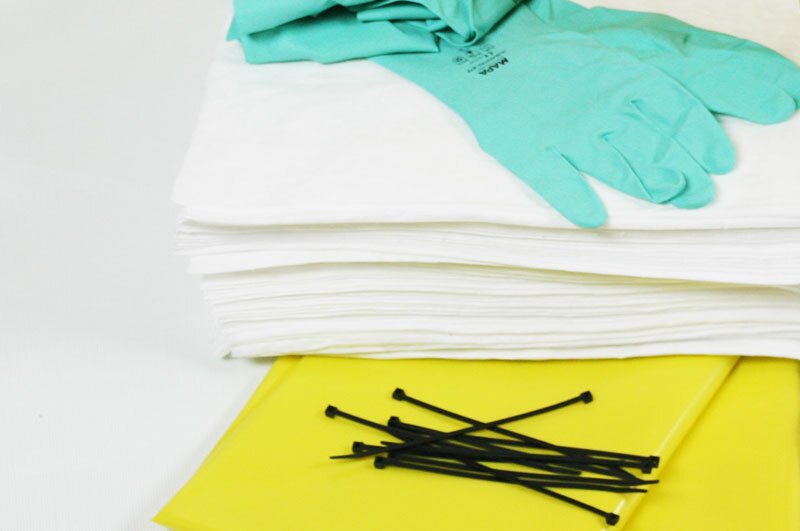 Quickly contain oil on water, Non-absorbent, RF-sealed boom manufactured to spec. We offer a variety of connectors, ballast, flotation, and reinforcement options. Available in a variety of stock sizes. RF-sealed PVC. Regularly manufacture custom sizes and shapes. 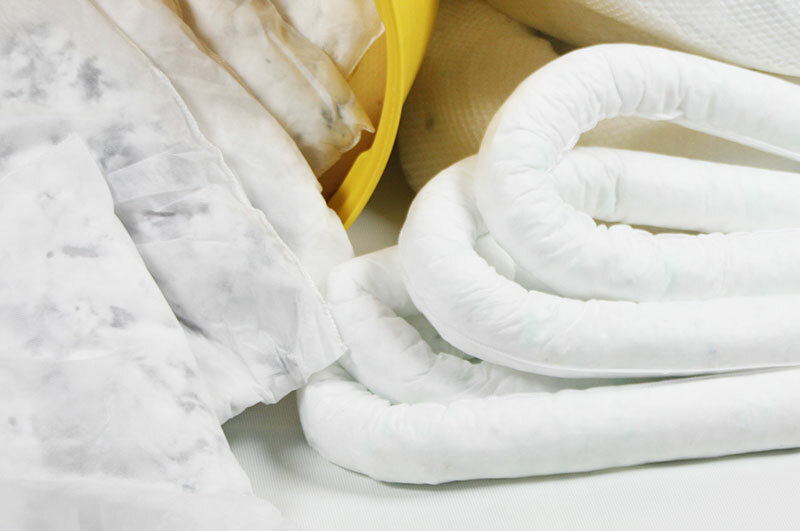 Once sorbent materials are used, they must be disposed. Indian Valley stocks a range of containers, drums, lids, and other accessories for complete safe disposal. 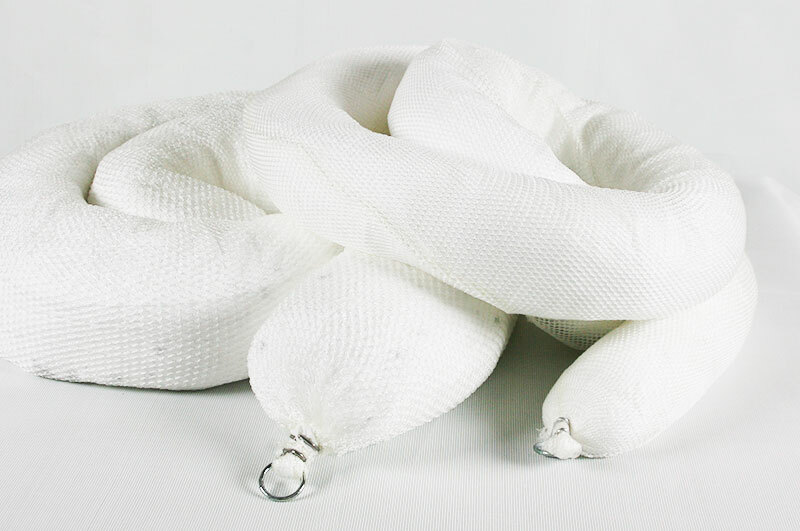 Oil absorbent booms are perfect for the control of and the clean up of oil spills on water. Available in a variety of diameters and lengths. 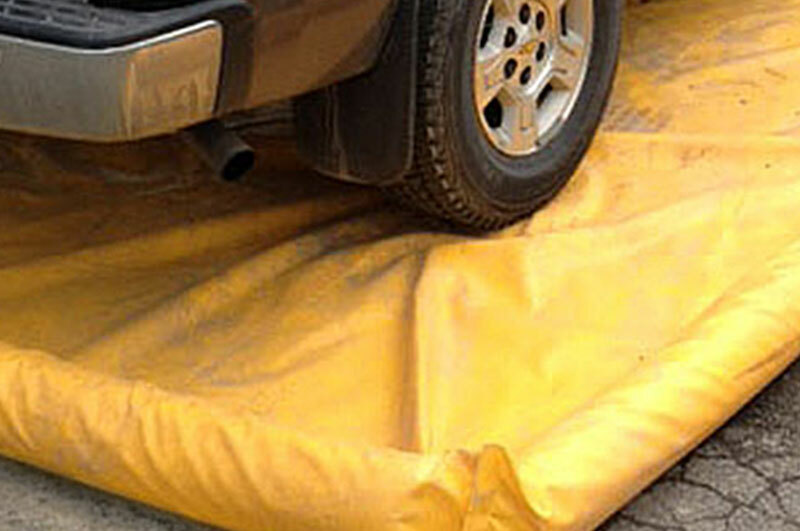 Indian Valley Industries, Inc. manufactures, sources, and distributes a wide range of Spill Containment products. Indian Valley products are regularly on state-approved spec lists and we also carry many products from well-known manufactures. We manufacture and source compliant products, or "contractor grade" products for additional materials flexibility. We have the ability and knowledge to source specialized or custom products for our customers when the need arises.